A new craft beer pub in Birmingham, a Leamington pub opening for breakfast and brunch, plus the return of Coventry City Centre’s Food and Drink Festival all feature in this week’s news. Ale drinkers have a new craft beer pub to sup in. Opened on Temple Street last week, The Head of Steam offers more than 100 types of craft beer, real ale, and world beer from its 43 keg lines, bottles and cans as well as being a dog-friendly venue. The Royal Pug in Leamington is now open for breakfast and brunch, every Tuesday to Sunday. From 9am until noon you can tuck into English back bacon in a toasted sourdough bun, American style pancakes, hash, veggie flatbreads and of course a full English. If you are heading over to Coventry for the city centre’s Food and Drink Festival next weekend, look out for a demo by local chef Sophie Hyam, a stall from the Castle Yard Tea Rooms (which is due to open on Thursday 28th June) and Heritage Bakehouse who will be selling their authentic Godcakes, Corporation Custards and Warwickshire Pies. On Thursday I missed the launch of the Tipple Truck – a gleaming Dennis fire engine which looks stunning in its new guise a mobile bar. The Tipple Truck has six taps and serves a selection of high quality craft beers and sparkling wines, it also lets customers pour their own drinks and pay for them with an Oyster type pre-loaded card. “Whilst we can of course run The Tipple Truck as a normal service bar, we believe the self-pour will be hugely popular, as it means customers can get right up close to the fire engine,” explains director Richard Brown (right of the picture above). Beers and wines featured at the launch included Urban Assault, a 5% ABV American Pale Ale from Anarchy, Flatiron, a 4.7% ABV American Red from Fourpure and Glera Frizzante, an 11% vol sparkling wine from the San Martino vineyard in Veneto, the Prosecco region of Italy. Check their Facebook page to see where the Tipple Truck will be extinguishing flames of thirst next. Discover Polish cuisine, craft beer, whisky and vegan recipes at some tasty events taking place in February. 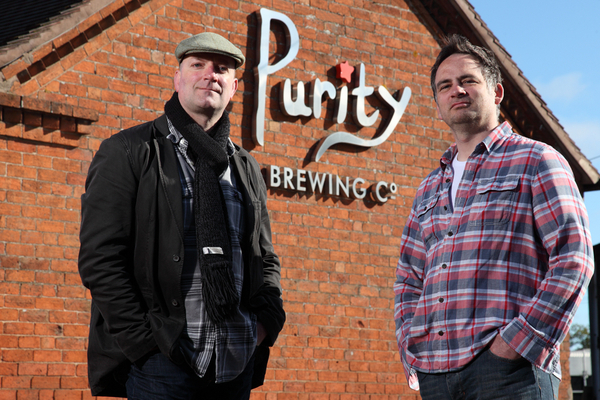 Warwickshire’s award winning Purity Brewing Co is launching a new craft beer to the media at real ale pub The Wellington in Birmingham on Monday. Saddle Black is their first black beer, made with smoked, chocolate and black malts that create a well-rounded beer with aromas of citrus, chocolate and espresso. Saddle Black can be paired with tangy hard cheeses such as Black Bomber cheddar. It also suits rich chocolate puddings, chocolate cake, tarts and tortes. 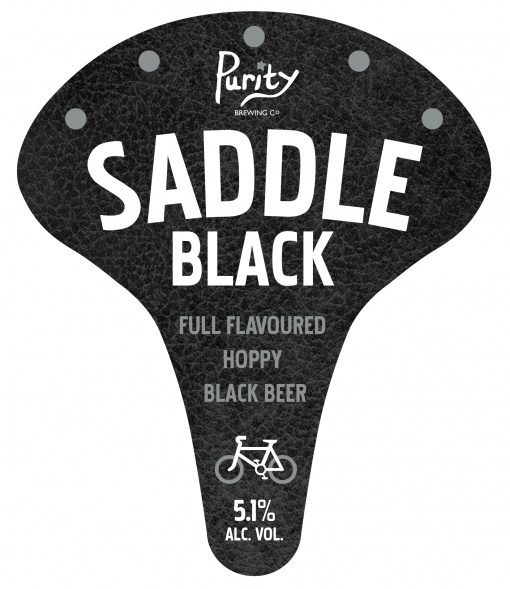 Look out for Saddle Black from the end of November at local pubs.